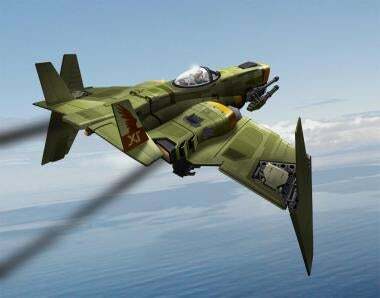 A trademark filed last week by Sony Computer Entertainment America seems to confirm rumors we posted last month of a upcoming Warhawk title set in space. SCE filed a trademark for Starhawk on April 9 for a computer or video game and operating a real-time game for others over a global and local area computer network. Last month we broke the news that Dylan Jobe and other members of Incognito Entertainment had left the company to form their own studio. We also reported that sources had told us that LightBox Interactive Studio was hard at work on a new take on Warhawk. The game, described as Warhawk in space, has been in development for some time, we reported. Reached for comment in March Jobe told Kotaku that it was too early to comment on what they were working on, but that they have some "really exciting stuff in development that our Warhawk fans *and* new players will love." All signs seem to point to Warhawk in space. We've contacted Jobe for comment and will update if and when we hear back.